Do Line 5 and Nestle permit hamper Michigan DEQ? agencies who work on environmental protection continued to see budgets and staffing under downward pressure according to two veteran executives. Historically, environmental programs were “the first to be cut as we’ve seen the states go through economic hardship,” Cameron Davis recently told Great Lakes Now. Davis was the overseer of Great Lakes restoration in the Obama administration. The U.S. EPA’s budget for 2018 will be cut and staff reductions are in process that could increase the workload on the states. 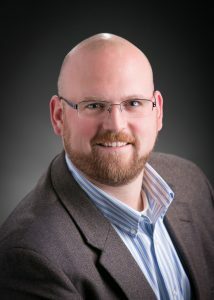 Detroit environmental attorney Nick Schroeck tells Great Lakes Now that he sees Michigan’s Department of Environmental Quality struggling to keep up with demands for its services. He speculates that some staff may have been pulled from their work to assist with the high profile Nestle permit to increase its bottled water operation. Plus, there is ongoing work on Flint and the Enbridge Line 5 pipeline at the Straits of Mackinac. Responding to a Great Lakes Now inquiry in a statement, DEQ spokesperson Tiffany Brown did not address specifics of staffing for the Nestle permit. Financially, Schroeck says “he has big concerns about contaminated sites and remediation dollars” noting that Michigan has already cut money from its brownfield cleanup program. Schroeck emphasizes that DEQ staff is doing what it can with limited resources and says it’s incumbent on the state legislature to provide more funding. Additional responsibility will fall to Michigan and other states as EPA Administrator Scott Pruitt “has moved to reduce EPA enforcement actions in all areas, meaning that much of that work will fall on the states,” according to Schroeck. and if there had been a loss of institutional knowledge based on higher seniority staff leaving the agency. Spokesperson Brown said the agency continues to process approximately 9,000 permits in a year. On the potential that the U.S. EPA could scale back enforcement actions Brown said DEQ and EPA are in “constant contact” and “DEQ is attentive to federal actions and potential impacts.” She said succession planning is ongoing at DEQ. In Wisconsin the Department of Natural Resources has undergone similar cuts to staff and had its mission redirected to be more considerate of business interests since the election of Scott Walker as governor in 2010. 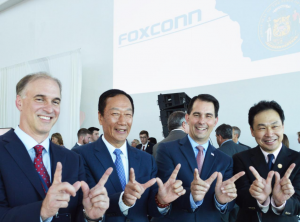 Wisconsin recently amended its wetland laws to accommodate development of tech giant Foxconn’s new plant in southeast Wisconsin. In the concession to help lure Foxconn, Wisconsin will defer to federal wetland standards enforced by the U.S. EPA. Environmental groups consider EPA standards to be a minimum with the states using local knowledge and authority to impose stricter standards where appropriate. Wisconsin’s deference to the EPA comes at a time when the agency is reported to be giving enforcement a lower priority. And former EPA executive Davis says there is another threat to the environment, the proposed new tax law. Economists expect the law will add substantially to the national debt and that could lead Congress to enact budget cuts. “If the deficit balloons, it will provide new fodder for calls to cut key environmental programs,” Davis says. 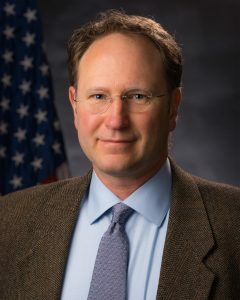 Attorney Schroeck is concerned about the disconnect between maintaining federal funding for the Great Lakes and state budget cuts for environmental protection.